They say that they will live-stream it from their mission control in Israel. 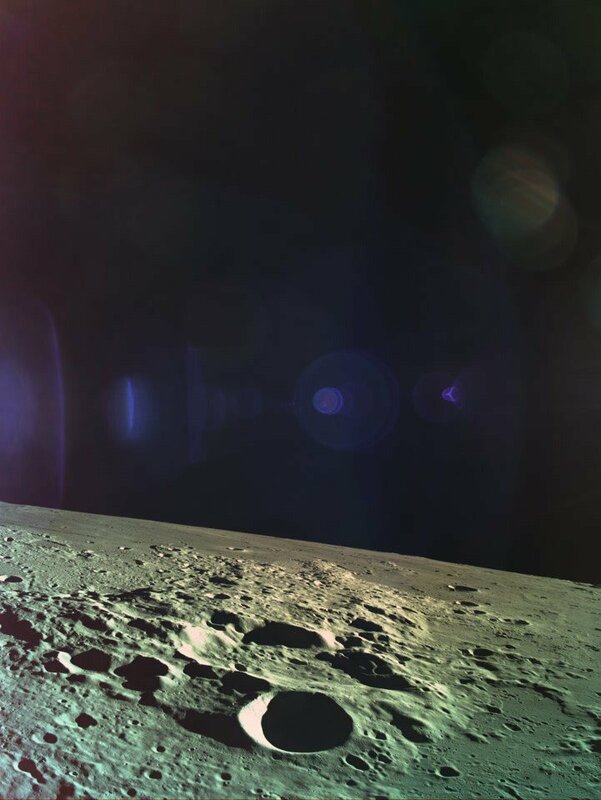 Photo (of what looks like the far side of the Moon) shot from the lander in lunar orbit. The far side is all craters without the "seas" (actually very ancient lava flows) seen on the near side. "Hoodathot" the fourth nation on the Moon would be approximately the size of New Jersey? They are getting closer to the population that Australia had in 1960. Science & technology in Israel: In 2019, Israel was ranked the world's fifth most innovative country by the Bloomberg Innovation Index. It ranks thirteenth in the world for scientific output as measured by the number of scientific publications per million citizens. In 2014, Israel's share of scientific articles published worldwide (0.9%) was much higher than its share of the global population (0.1%). It also has one of the highest per capita rates of filed patents. Israel counts 140 scientists and technicians per 10,000 employees, one of the highest ratios in the world. In comparison, there are 85 per 10,000 in the United States and 83 per 10,000 in Japan. Livestream coverage starts at 18:45 UTC (2:45 PM EDT, 11:45 AM PDT). 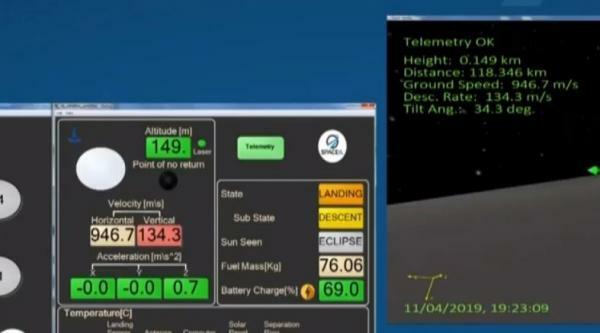 Landing burn begins at 19:05 UTC (3:05 PM EDT, 12:05 AM PDT). The Moon has a new crater. The main engine stopped firing during the landing process. They tried to relight it and succeeded, but by then the lander was way too low and going much too fast. Here's the last real time telemetry displayed, right before the thing stopped sending, showing 149 meters altitude and (in red) 134 meters/second vertical descent rate (much too high). Plus a blistering 946 meters/second horizontal speed across the lunar landscape! (Almost a km per second looks to be something like 2000 mph). Shot down? Remember Phobos missions? Someone is going find an anomaly somewhere and claim this crash was the result of external forces. That last photo is full of them. (Apr 12, 2019 03:48 PM)Zinjanthropos Wrote: Someone is going find an anomaly somewhere and claim this crash was the result of external forces. That last photo is full of them. Jesus, the pastor said, “wants to be sure we understand that in the last days there will be signs in the sun, the moon, the stars and of course the stress of nations on the planet. [...] Trump was born on a blood moon on June 14, 1946, exactly 700 days before Israel was declared a nation. [...] popular pastor and author John Hagee also frequently weaves together celestial events, Jewish history and prophetic theories.